As Yogi Berra once said, “You can observe a lot just by watching.” As with many of his verbal flubs, this one has more than a little truth and wisdom behind it. By simply watching, managers can become more effective in their roles. 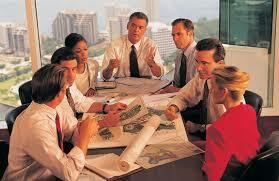 People management training is often overlooked in organizations. Perhaps that is the reason it is uncommon to “find a good manager”. Observation sharpens their ability to tackle an array of responsibilities—from evaluating performance to gauging the credibility of a team member. Harvard MBA students study what is referred to as “Ferguson’s Formula.” Sir Alex Ferguson coached Manchester United for 26 years and is recognized as the most successful coach in the history of English football. Winning title after title and trophy after trophy, Ferguson developed a finely tuned management approach in which observation played a central role. Once I stepped out of the management bubble, I became aware of a range of details, and my performance level jumped. Seeing a change in a player’s habits or a sudden dip in his enthusiasm allowed me to go further with him: Is it family problems? Is he struggling financially? Is he tired? What kind of mood is he in? Sometimes I could even tell that a player was injured when he thought he was fine. Observation became a “critical part” of his management approach. As applicable in the boardroom or office as it is on the soccer field, observation is a skill well worth mastering for executives and managers. This saying is often attributed to Ralph Waldo Emerson: “What you do speaks so loudly that I can’t hear what you say.” By observing, business managers can get to the root of issues and view performance based on actions and behaviors, not just words. For instance, did a team member do what he said he would do? Did he complete a report that was required and deliver it on time? This speaks directly to reliability and trustworthiness—qualities that are much more apparent in what one does rather than what one says. Through observation, managers can gain insight into basic human relations, courtesy, respect, integrity, honesty, punctuality, quality of work, and more. Once they start to look and to pay attention to their people, they can uncover an astounding wealth of knowledge. However, managers can often fail to pay enough attention to the person and instead get more focused on the details of the persons work. People management training can shift a managers point of view and help them draw the best out of the individuals on their team as well as lift the entire teams performance. In a group I facilitated, for instance, one individual had a high opinion of his sense of humor. He thought he was hilarious; the rest of us thought he was a cynic. We could always count on him to interrupt, deliver negative comments, and generally add a pessimistic vibe to the room. He wasn’t doing himself any favors, and he added absolutely no value to the group with his antics. This behavior suggested something else at play. As Ferguson said, when a player’s performance wasn’t up to par, there was often an underlying reason; the same is true with employees. Maybe this person felt he wasn’t acknowledged or that he should have had a higher profile in the group. Whatever was going on, it made it difficult for him to allow someone else to have and to hold the attention of the group. He wasn’t saying, “Look at me! Look at me!”—not in words, anyway. In this type of situation, a manager can observe these signals and speak with this team member with the goal of improving the situation. DiSC is a phenomenal tool that managers can use to understand personalities and motivations by taking a look at their team members’ reactions and behaviors around certain situations, or using the assessment as a way to gain insight into their team members’ actions or performance. Observing behaviors, and then viewing them through this lens, enable better and deeper understanding. DiSC can also help managers develop useful strategies and tactics for dealing with their team members and raising the bar in their organizations. DiSC provides a strong basis for people management training. Through careful, consistent observation, managers can become better able to take the temperature of their team, monitor performance, and learn about the motivations and personalities of their people. Leaders can, in fact, observe a lot just by watching.